One of the most significant differences between RC toys and hobby-grade products like Axial Racing’s line of vehicles is that the latter are modular in design and function. All of the components in a hobby-grade RC vehicle are separate units. A single circuit board doesn’t control all functions and you aren’t limited to a slow wall charger. This goes for the transmitter, battery and other items as well. Being able to select these items means you have to choose which ones you want. Below are the typical components needed to complete Axial RTRs and kits. Axial Racing RTR vehicles are not only pre-essembled, but include many high quality components are ready installed. 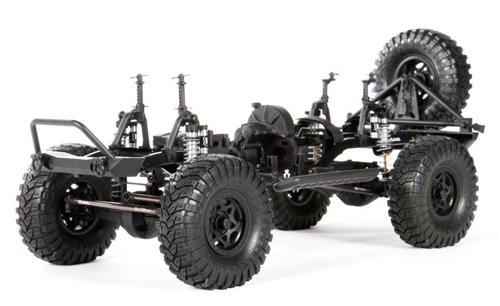 Below are the few items needed to get your Axial RTR ready for adventure. Fast Charger. A fast charger or peak detection charger differs from a “wall charger” in that it can charge at a higher rate. These means less downtime and more action. These chargers are programmable (different models offer different features), so they can charge many different size and type batteries. If you are using a LiPo battery, you must only use a charger that is LiPo compatible with a selectable LiPo mode. A balance charger is also highly recommended for LiPo use. Battery. There are many battery chemistries, but the two most common in RC are now NiMH and LiPo. NiMH are generally less expensive and require less understanding of the battery charging and care process, but there many advantages. The higher the capacity, the more runtime the battery will provide. Think of capacity as the size of the gas tank. 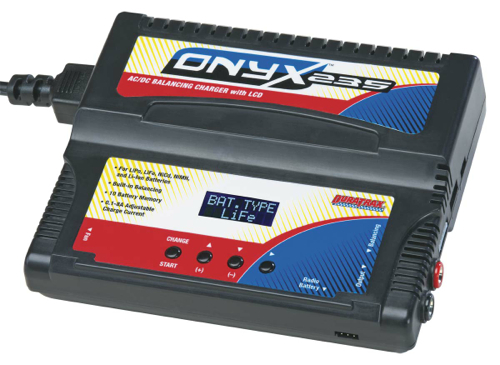 If your vehicle is equipped with Axial AE-2 ESC, limit your battery choice to 6-cell NiMH or 2S LiPo. You will also need a battery with a Tamiya connector. If your vehicle has an Axial AE-3 ESC, you can run an 8-cell NiMH or 3S LiPo battery, and the battery will need to have a Deans Ultra Plug. AA Batteries. 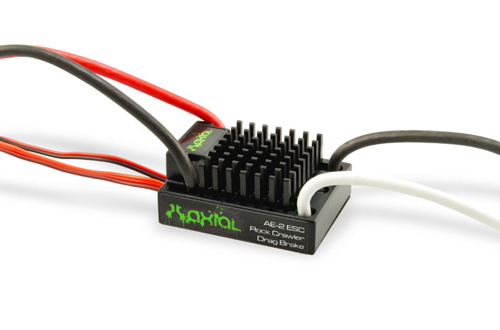 Axial Racing’s 2.4GHz radio systems are highly efficient and only require four AA batteries for use. Less sophisticated transmitters require eight AA batteries. Axial’s technology saves you money and makes the transmitter lighter and more comfortable. Perfect for intermediate and advanced enthusiasts, Axial Racing kits leave the electronics choices up to the end user. This is good for more advanced users who have specific needs. To learn more about building a kit, click here. Fast Charger. See description above. If you don’t already have a charger or are looking to upgrade at the same time as outfitting a kit, choose a charger that you are not likely to quickly outgrow. Typically, experienced users look for chargers that can deliver enough power to charge large packs quickly, so consider a charger that can charge at 10 amps or more. Battery. See description above. While NiMH packs fit some budgets better than LiPo packs, one of the best ways to maximum performance of your Axial kit is to use a LiPo battery. 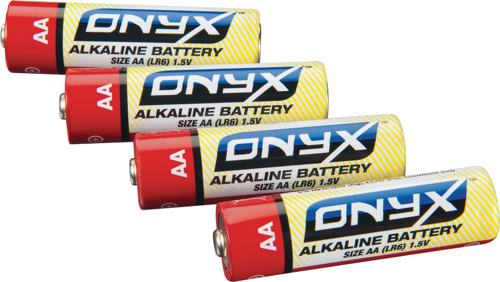 To learn more about LiPo batteries and the advantages they offer, click here. Speed Control (ESC). The speed control electronically regulates the speed of the vehicle. Some ESCs are waterproof, so look for that feature if it is needed. Even though it is a factory speed control, Axial’s AE-3 brushless speed control is a high quality component and an excellent choice for high speed applications. It’s also very versatile and can be programmed to control brushed motors. This means it can be used for a fast machine such as the EXO Terra Buggy as a sensorless brushless setup or in SCX10 as a brushed system. Fast and fun or slow and precise, it’s your choice. Learn more about motors below. Motor. Electric motors used in RC are either brushed or brushless in design. Axial offers both, and each design type has its advantages. Brushed motors are inexpensive and offer precise low-speed control. Don’t think that brushed motors are only for small budgets. Many competitors, even at the highest levels, use brushed motors. If you want precise control for technical situations, go with a brushed motor. The cost savings is just an added bonus. Axial offers 55- and 27- and 20-turn brushed motors. The fewer number of turns, the faster the motor will be. That speed comes at the expense of torque and runtime. Brushless motors bring new technology to RC. For vehicles such as the EXO Terra Buggy, a sensorless brushless system really brings out the fun. 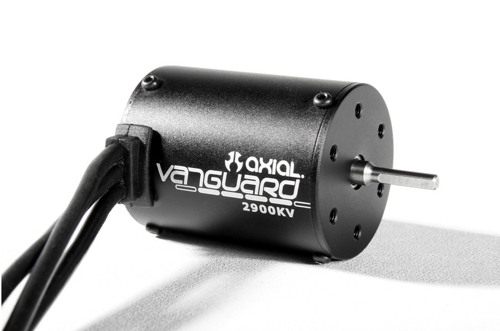 Brushless motors such as Axial’s Vanguard 2900 Kv also require very little maintenance. When shopping for a brushless motor, it’s important to know the the higher the Kv number, the faster the motor will be. Radio System (Transmitter and Receiver). The transmitter, in the most basic sense, function as your steering wheel and gas and brake pedals. Whether you call it a radio or a transmitter, this is how you control your model. 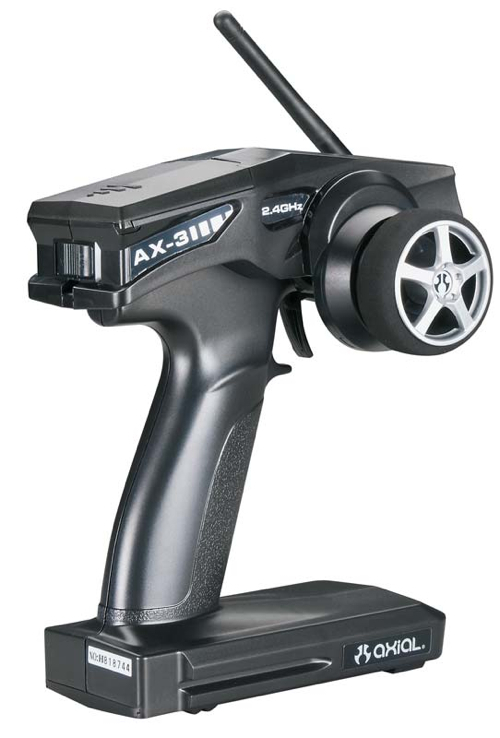 Axial’s AX-3 transmitter uses 2.4GHz technology which means you don’t need to worry about potential interference from other RC transmitters. The receiver, as the name implies, receives signals from the transmitter. The electronic speed control and servo (see below) plug into the receiver. Servo. A servo is a simple device that turns the electronic signal (your command) from the receiver (which originated at transmitter) into the physical force is needed to perform a function. In the case of Axial vehicles, the function needed is steering. Advanced hobbyists use servos for all sorts of functions such as moving the steering wheel and rotating a driver figure’s head. Servos are rated on two significant performance characteristics: speed and torque. Generally, rock crawlers and scale vehicles require torque over speed, but you should never compromise too much on speed or performance will suffer. For fast vehicles like the EXO Terra Buggy, servo speed is even more important. When building a kit or upgrading a RTR, a metal gear servo is always recommended for durability. For the ultimate in steering durability, install one of Axial’s metal servo horns. Paint. Lexan bodies require special paint specifically made to bond to the flexible material. Make sure you only use this type of paint. If only a one color paint job is desired, one can of spray paint is usually adequate. While it would take an entire post to cover all aspects of painting, the process is simple and the most important thing to remember is to use light coats. Glue. Unless your Axial model is equipped with beadlock wheels, you will need hobby-specific CA glue to bond the tires to the wheels. Ordinary “super glues” will not work for this application. 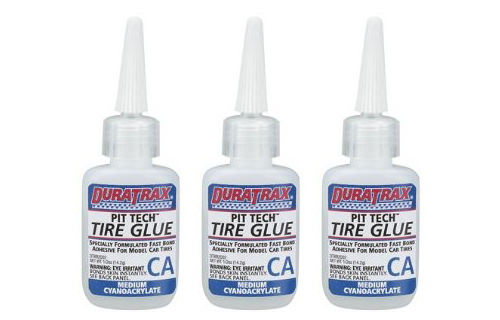 Duratrax Pit Tech brand in medium thickness is easy to work with, strong and inexpensive. AA Batteries. See description above.